Brand New State-of-the-Art Equipment that gently cleans your car's finish. Our State-Of-The-Art Tunnel Car Wash will clean, shine and dry your car in 3 minutes...no lines and no waiting! Check out our "Full-Featured" Car Wash Facility for the "Do-It-Your-Selfer"! Prefer to wash your own car? Check out our feature packed Self-Service Car Wash Bays! Wash your car as many times as you like for as little as $25 per month! For as little as $25 per month, you can wash your car every day! No long term commitment or contracts. Cancel anytime! Corporate Fleet Programs for organizations and businesses. We know how important a clean vehicle is to your business so we designed a wash program just for you. 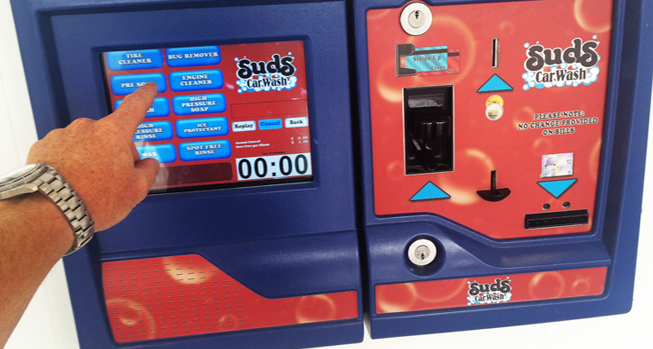 Let Suds Car Wash help your organization reach its fundraising goals! Our Fundraising Program can help your organization reach its fundraising goals. It's free and easy to set up!